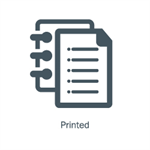 CPT® codes and reporting guidelines are updated annually, making accurate coding a challenge. 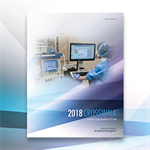 CROSSWALK® 2018 helps you code accurately so you can receive proper payment, because it provides the CPT anesthesia code that most specifically describes the anesthesia service for a particular diagnostic or therapeutic CPT procedure. Accreditations refers to the number of Credits, AMA PRA Credits and MOCA if listed. Discounts available when ordering quantities greater than 10, please call (847) 268-9133. ASA offers companion electronic files as part of the user/multi-user agreement for CROSSWALK, Relative Value Guide® and Reverse CROSSWALK. Data may then be embedded directly into systems for fast, reliable search functionality. For more information or to place an eFile order, please call Members Services at (630) 912-2552. Looking for Reverse CROSSWALK? Reverse CROSSWALK® 2018 includes the CPT® anesthesia codes and cross references all the applicable CPT procedure codes that may be associated with a particular anesthesia code. Reverse CROSSWALK® cross-references CPT® codes are associated with anesthesia codes for data analysis and research initiatives. Reverse CROSSWALK is only available as an electronic file for download.